Think of a well traveled child. Eric is just one of them. 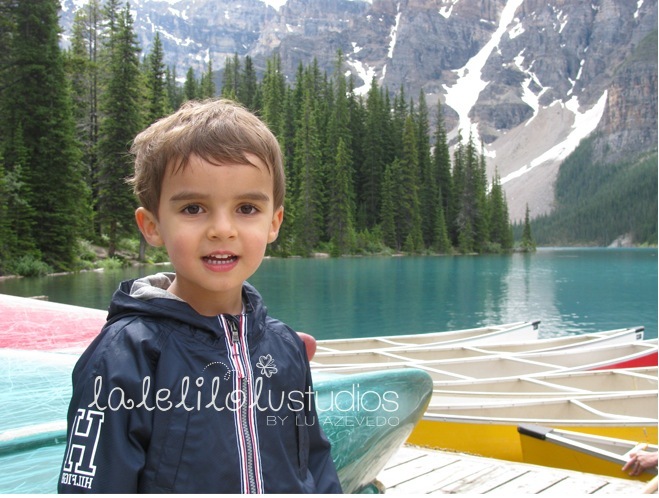 This cute little guy, who is not even 4 yet, has lived in San Francisco, Buenos Aires, Rio de Janeiro, London and Calgary! Can you believe it? 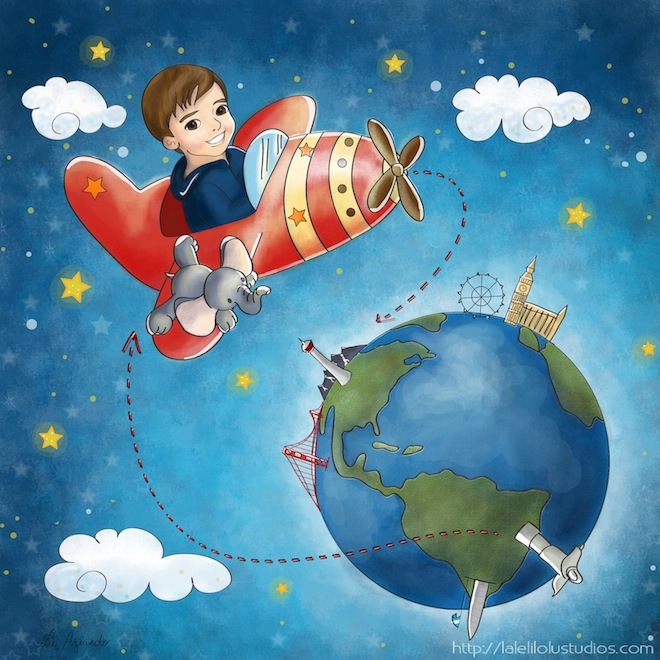 So, nothing better than a drawing with Eric and his inseparable friend flying an airplane over all the landmarks from places he has lived. Every time I have too many elements to put in an illustration and I’m not sure what’s the best composition for it, I first draw everything separately, then arrange the elements in Photoshop. And that’s what I did this time. 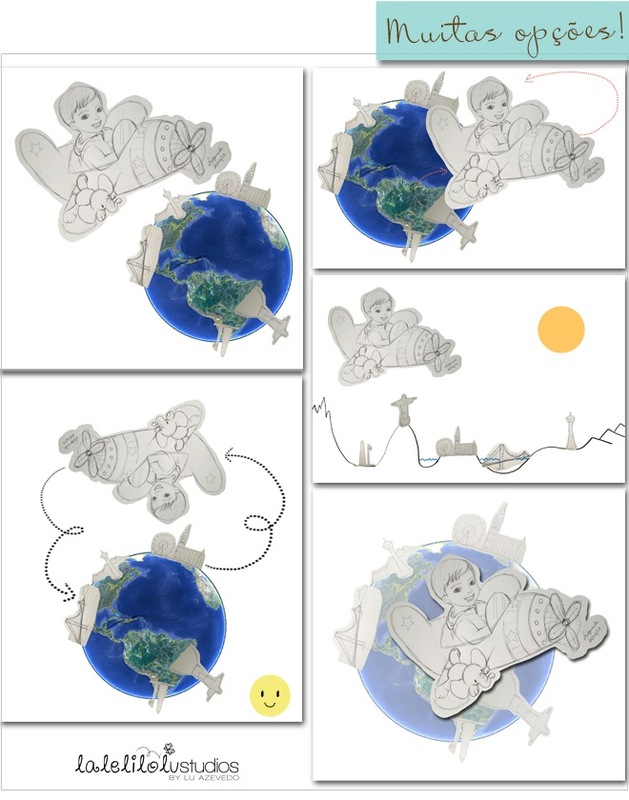 I drew Eric in the airplane and all the landmarks in paper and used Google Earth to set the earth in a position to show all those places at once. Then I came up with different compositions, so his mom could choose one from. Once she picked one (which was my favourite too) I did the contouring and put the colors digitally. In the original version I did the airplane in green (above), but as the new decoration of Eric’s bedroom will have lots of red in it, she asked me to put the airplane in red to see how it’d look like. But she liked both equally! And even though she asked everybody in her family and some friends to help her to decide, the result was still 50-50! Now, I’ll ask you then: which one do YOU prefer? 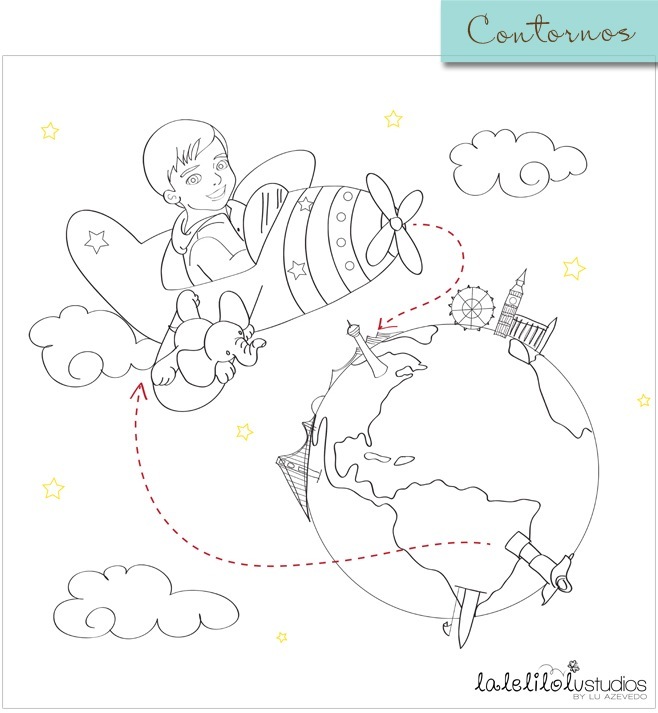 The illustration with the green or red airplane in it? Adoro vermelho, mas neste caso vou ficar com o verde. A propósito, a ilustração ficou belíssima e muito criativa. Parabéns! E muito obrigada pelo comentário, você é uma querida, sempre! Que espaço lindo!!! 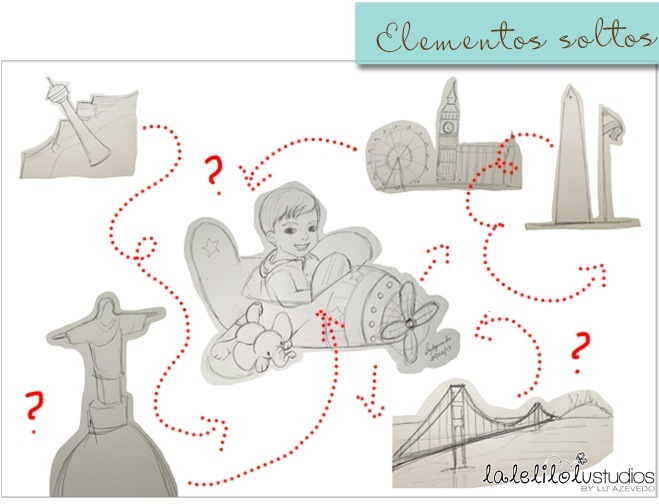 Amei tudo!! Continuo votando pelo avião “Vermelho”. Gerou um super contraste e destaca o personagem. Apesar de amar verde juntinho com azul, deste caso acho que o efeito com o vermelho será muito interessante!!! Muito obrigada, Angélica!!! Um beijo!